Industrial floor cleaners should be cleaned and maintained properly to ensure continued performance. But given their daily use, it’s only natural that these machines start to break down during use. Issues like brush motors failing to operate and poor water pickup become common. 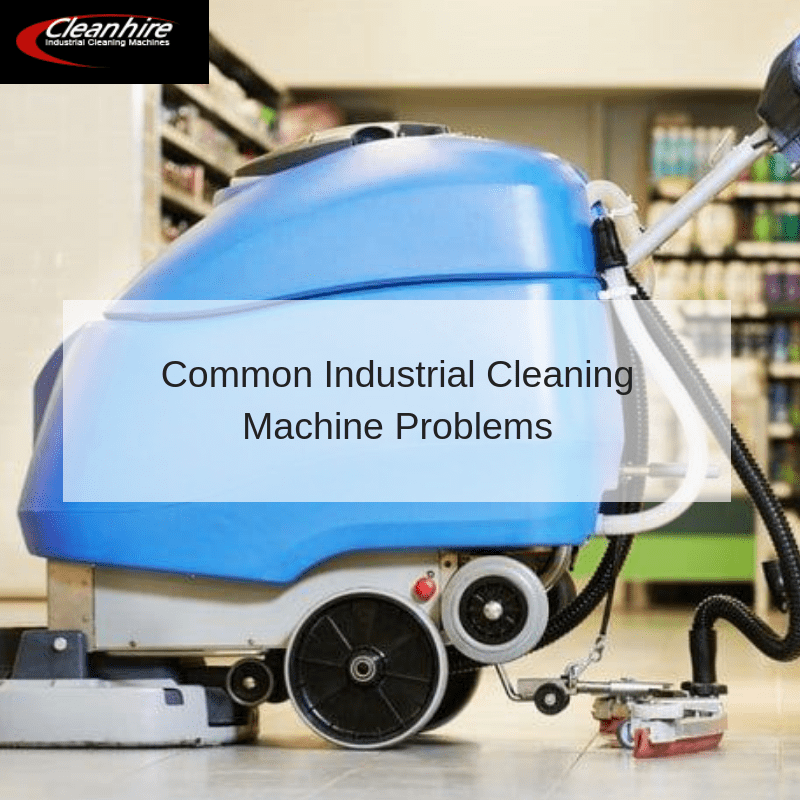 In this post, we identify common industrial cleaning problems, their causes and what can be done to resolve them. This is caused by failing to turn on the vacuum fan. Other causes include a clogged hopper dust filter, damaged vacuum hose and worn brush skirts & dust seals. Resolving the issue is pretty easy. Consider replacing the brush skirts and dust seals. The same applies to a damaged vacuum hose. Don’t forget to clean the dust filter and turn on the vacuum fan. This may be due to some reasons including worn brush bristles, failure of the main and side brushes, improper adjustment of the main and side brushes, damaged or worn hopper skirts and more. You can improve sweeping performance by replacing the large debris trap, emptying the hopper, replacing the hopper skirts and brushes. Improperly adjusted main and side brushes should be adjusted and debris removed from the drive mechanism. From low battery power and clogged hopper filter to switching on the emergency stop, there are many things that could cause zero machine power. To get your floor sweeper running, turn the emergency stop off then restart the machine. You should also consider charging the battery and cleaning or replacing the dust filter. A floor scrubber dryer may fail to operate if the batteries are discharged, an emergency stop is activated, the battery is loose, or the main fuse blew. A faulty key switch can also compromise the machine’s ability to run. Charge the battery and turn the emergency stop anticlockwise to deactivate it. Replacing blown fuses and faulty battery as well as tightening loose battery cables will get the machine running again. Some things can cause poor water pickup such as clogged vacuum hose, damaged squeegee blades, full recovery tank, loose vacuum hose connections, low battery charge and more. Measures that will improve water pickup include replacing damaged vacuum hoses, cleaning the filter, draining the recovery tank, tightening hose connections, position the tank cover properly and replacing worn brushes. At CleanHire we specialise in selling, hire and servicing industrial floor cleaners. Get in touch with us and let’s discuss an ideal cleaning solution for you.